Posted By:Unknown | At:9:50 AM Be the first to comment! GREER, S.C. — Republican presidential candidate Mitt Romney said Thursday that he has paid a federal income tax rate of at least 13 percent in each of the past 10 years, bowing to months of political pressure to disclose more information about his vast personal fortune. “I did go back and look at my taxes, and over the past 10 years I never paid less than 13 percent. I think the most recent year is 13.6 or something like that. So I paid taxes every single year,” he told reporters here Thursday. President Obama and his allies have been hammering Romney relentlessly, both in television advertisements and on the campaign trail, for refusing to disclose more than two years’ worth of tax returns. 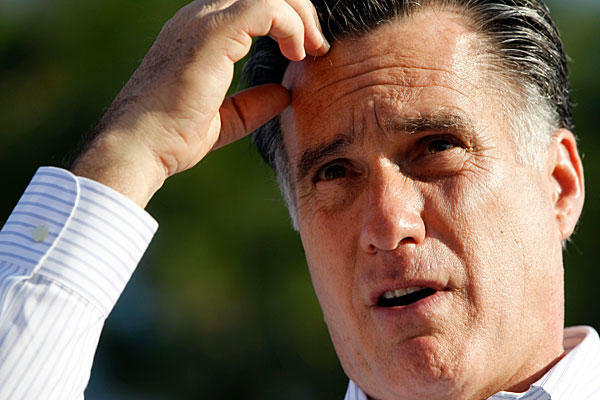 They have suggested that Romney, one of the richest Americans ever to win a major party’s presidential nomination, is hiding something about his personal finances. Romney’s disclosure Thursday came in response to a reporter’s question at a news conference that Romney had hoped would focus on a white-board presentation he gave outlining his latest attack on Obama over Medicare. Romney’s advisers insisted that the former Massachusetts governor had not planned to provide new information about his taxes but that, when asked about his tax rate, he provided an honest answer. “He has the ability to answer all of these questions by releasing several years of tax returns. He simply hasn’t done that,” LaBolt told reporters on a conference call. LaBolt noted that Romney’s father, George, released 12 years of income tax returns when he ran for the Republican presidential nomination in 1968.